I was born in Menominee and am probably one of the few living survivors of the Menominee-Wells fire which destroyed our home. 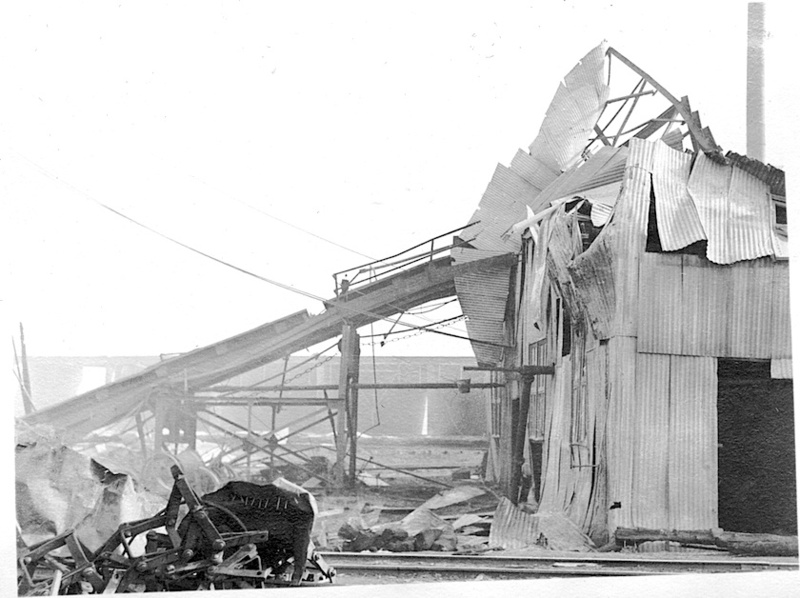 At the time I was living with my grandfather, George Foster, superintendent of the lumber yards at Wells Lumber Co. We had to flee his company-provided house located near the yards after the winds shifted the fire storm toward the house. 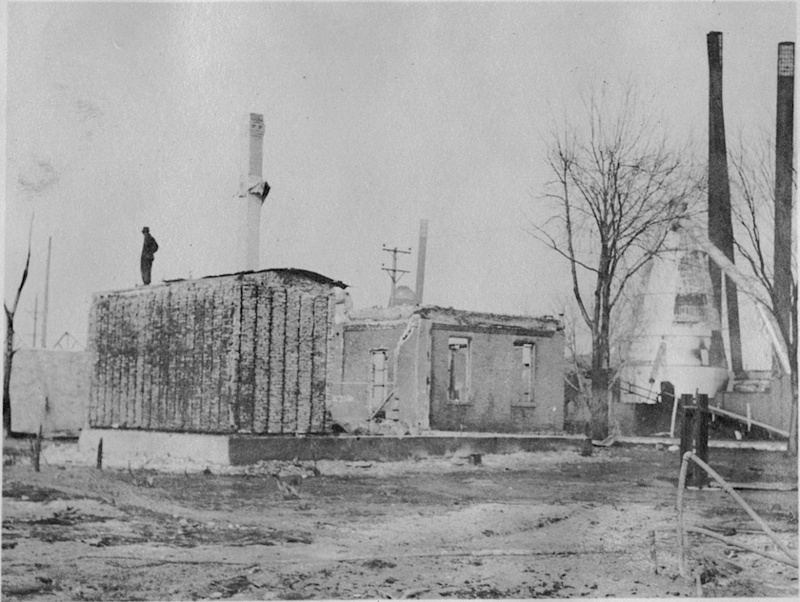 The house burned to the foundations in minutes. 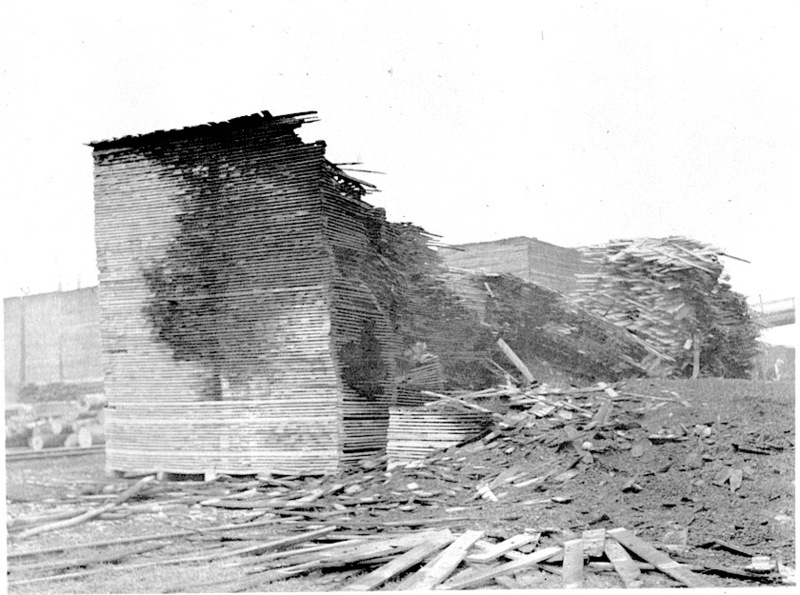 I have a collection of photographs of the fire destruction remains of the Wells Lumber Mill if you are interested. 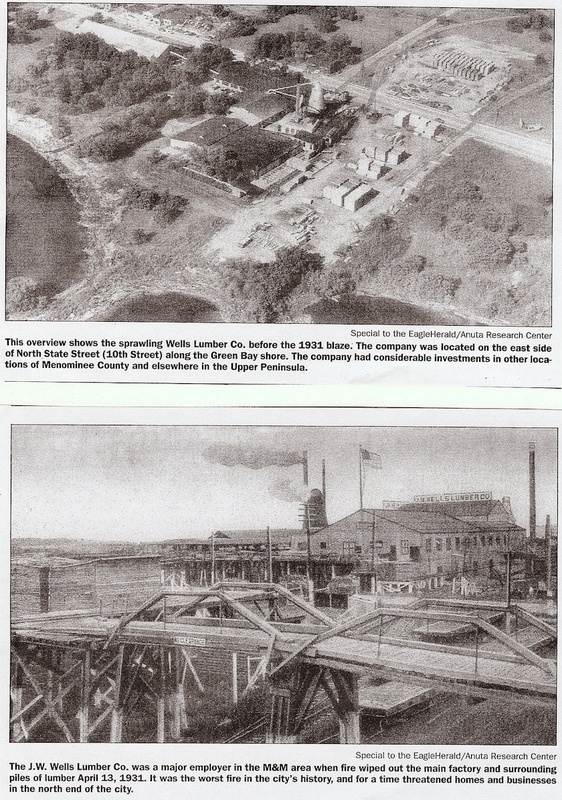 These were photos my Dad had from his mother (my grandmother) who was born in 1900. 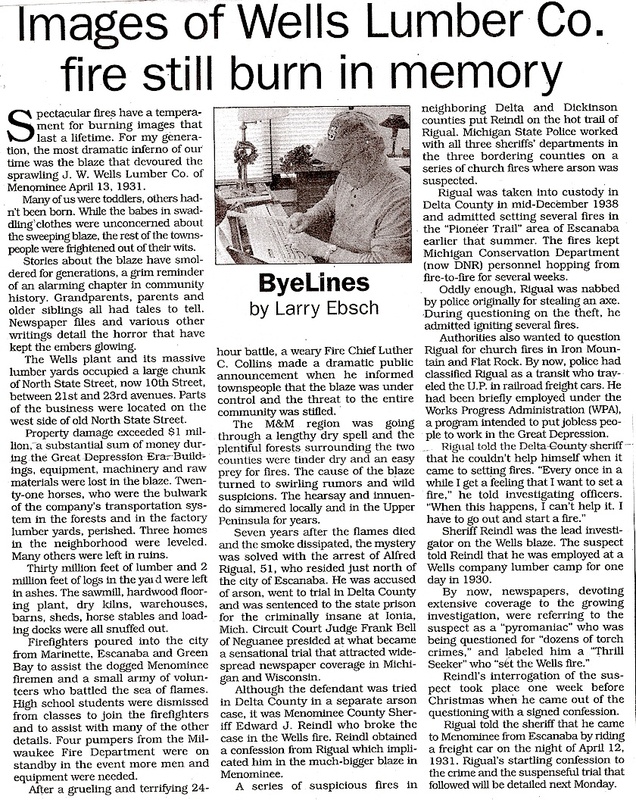 She always told us stories of the fire and how her mother (my great grandmother) was sweeping the floors of their house when it was burning. Her Dad worked for J.W. Wells Co.. Dad also got a firetruck that Christmas from his father. My Dad may have already told you some of these stories. 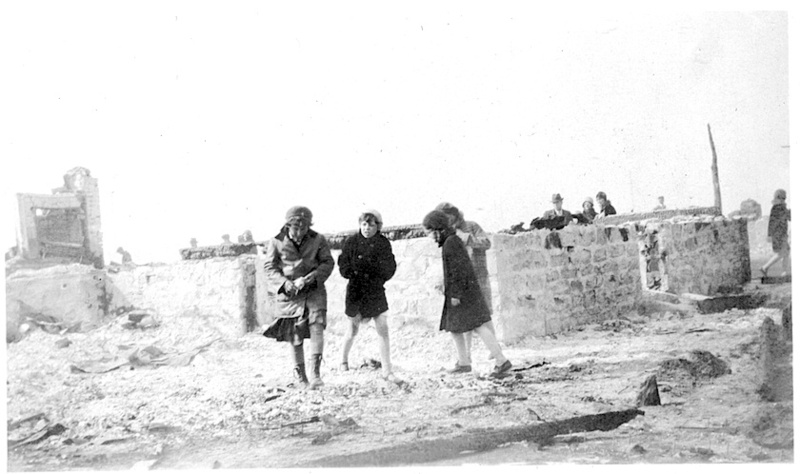 On April 18, 1932 [actually according to Menominee County Historical Society, it was April 13, 1931 — BW], the J.W. 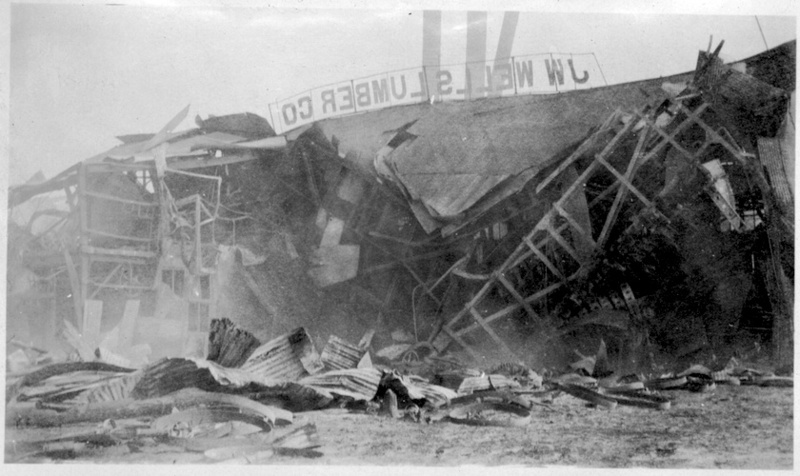 Wells Lumber Co. burned to the ground. 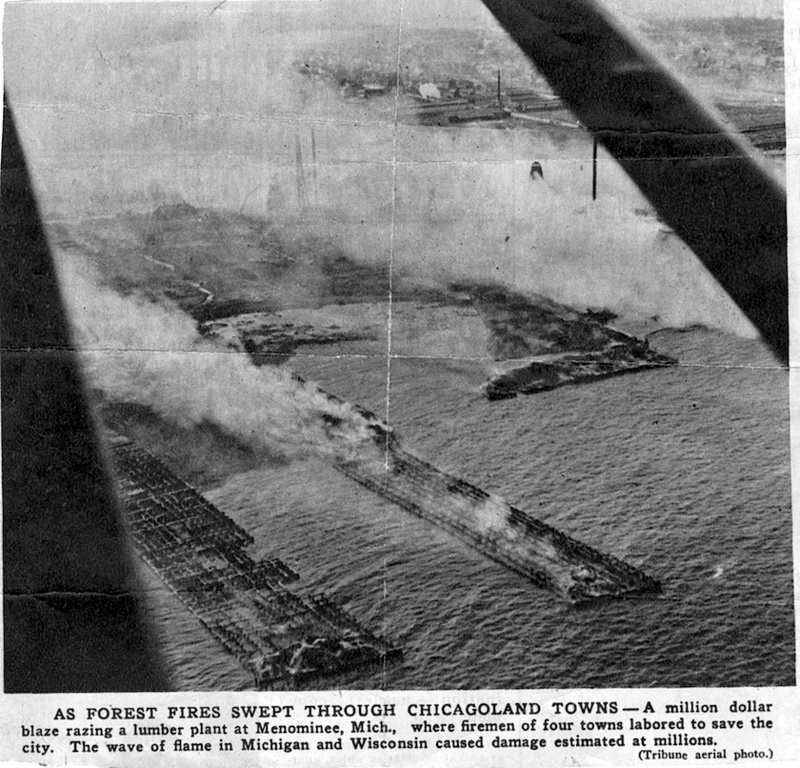 It was one of the largest fires in the U.S.A. that year. 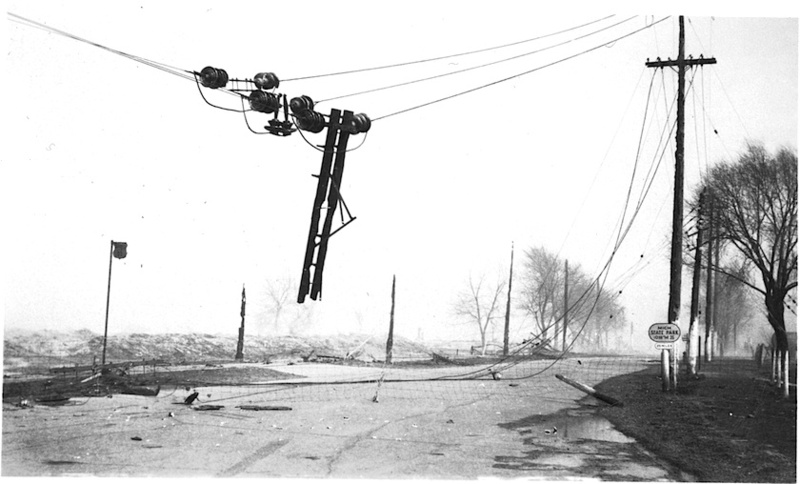 Had the wind changed, it could have wiped out the town of Menominee (population 10,000). The fire was set up on purpose, by whom we do not know, but it was always felt it was set by somebody who had it in for A.C. Wells. I was awakened by “Gusty,” our live-in housekeeper. We looked out a north window and saw large orange flames coming out of the lumber piles off to the west where the sun normally would come down at that time of year. The sky was orange-red and it was midnight. I hastily dressed and ran out, joining many in the streets. “Gusty” (Agusta-Paul) stayed home to guard the home. I joined many of my classmate friends only to watch the fire grow. On the fire went until morning, schools and the town were closed. 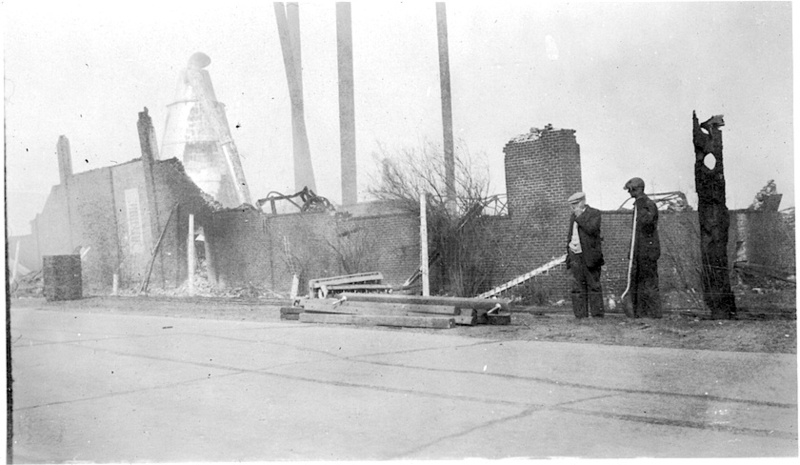 Fire engines came from towns around, even Green Bay. Mid-morning the wind changed and blew back over what it had burned, which was a life-saver for our home and the town. Two days more before all was out. The heat curled railroad tracks.